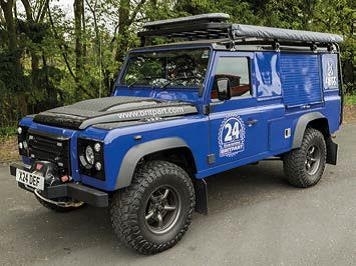 These wheel arches are designed to fit using the existing mounting points on your defender, reducing the need for drilling/cutting the wings and allowing you to put a wider tyre, wheel spacer or bigger offset wheel on your vehicle, while keeping legal for MOT purposes. 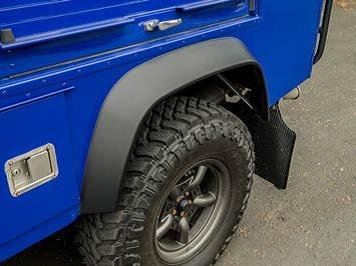 These arches are the closest wide wheel arch to OEM specifications , in terms of aesthetic and material available on the market. 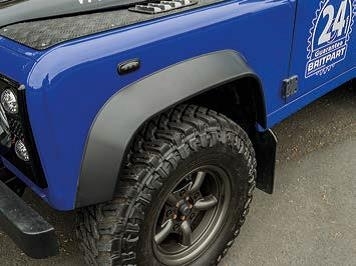 Please note - cutting of internal arch plastic on the existing front arches may be required - contact us for more details.